74 shows, including 9 Command Performance, 4 Lux Radio Theatre, 26 Rocky Fortune, 7 Songs By Sinatra, and many guest appearances with top comedians of the day. After processing of payment, the links will be made available. If you prefer an MP3 CD rather than download version, pleas leave a comment with the call center with your pledge/payment. Also provide an email address. A Time Out and Daily News Top Ten Book of the Year upon its initial release, Please Kill Me is the first oral history of the most nihilist of all pop movements. Iggy Pop, Danny Fields, Dee Dee and Joey Ramone, Malcom McLaren, Jim Carroll, and scores of other famous and infamous punk figures lend their voices to this definitive account of that outrageous, explosive era. From its origins in the twilight years of Andy Warhol’s New York reign to its last gasps as eighties corporate rock, the phenomenon known as punk is scrutinized, eulogized, and idealized by the people who were there and who made it happen. the mid-70s show on WOR. Must pay by Credit Card and provide email address. Previously offered as a two disc set, these programs are now ready to download. Listen for details. Mostly from my own tapes, this is a great assortment of 190 programs for the radio show collector. 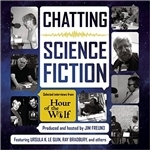 This is a collection of over 15 hours of interviews with some of the world's foremost writers of speculative fiction, recorded for Jim Freund's Hour of the Wolf. Guests include Samuel R. Delany, Ursula K. Le Guin, Ray Bradbury, Ken Liu, Nalo Hopkinson, and 11 more great writers. This is a download. An email must be provided to receive this. Classic songs and scenes about food, All Mixed Up into a 2 disc downloadable package; Altered Shortcuts & Shortcuts to Happiness complete this edible audio delight! 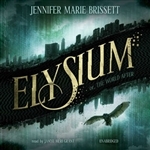 The downloadable MP3 version of the unabridged speculative fiction novel, Elysium, by Jennifer Marie Brissett, produced by Skyboat Media and Blackstone Audio. segments over the past decade.